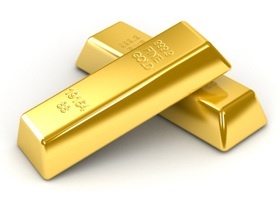 InvestorCentric: Will Gold Continue To Rise In 2011? Will Gold Continue To Rise In 2011? After improving by about 25 percent in 2010, gold prices have several factors in their favor in 2011. Continued money printing and debt troubles in Europe and US municipalities are a few of the reasons why analysts are seeing opportunity in gold. See the following post from Expected Returns. Now that 2010 is coming to a close, it’s time to start thinking about how various assets will fare in 2011. Considering that gold has consistently risen for a decade, it makes sense that more and more eyes are fixed on gold. It will eventually be gold’s time to absolutely dominate the headlines, but in my opinion, we’re not quite there yet. In my view, 2011 will be the year in which the foundations for gold’s eventual parabolic rise will be laid. Gold is really going to gather steam when nations start defaulting on their debts. The nature of debt crises is interesting in that right when you think the worst is over, problems surface again. It should be self-evident that you can’t solve a debt crisis with even more debt, but to our leaders it isn’t. We have kicked the debt can down the road, and we will soon find out exactly where the road ends. Gold investors should be aware that we are coming out of a seasonally strong period for gold. In my opinion, it is not the time to get too aggressive on the long side. I can easily see a scenario in which gold consolidates until the summer before rising on the reemergence of debt concerns both in Europe and in municipalities in the U.S. Another round of bailouts will likely exaggerate rising trends in commodities, stocks, and gold. Deflationists will probably ignore these trends and focus on “core” CPI to generate their arguments that there is deflation. But even according to the fundamentally flawed “core” CPI, prices are rising. Even with a disastrous real estate sector, prices are rising. I am convinced that those who are putting money on the deflation trade are going to get wiped out. To someone like me who prefers perusing actual data to making unsubstantiated claims, all talks of gold being a bubble are ludicrous. Gold is up about 25% on the year. Not 100%, not 200%, but 25%. I fail to see how anyone can argue that this is the type of price action that precedes the bursting of a bubble. Did the Nasdaq rise only 25% year-over-year when the bubble burst? Nope. It was up over 200%. I really don’t see the logic behind gold bubble theories. In order for gold to reach bubble levels, people who consistently underperform the market will have to stop calling tops. We need everyone on board the bull bus before gold is ready to see an epic crash. Sovereign debts will have to default on a grand scale. The government will have to stop attempting to prop up the economy with funny money. CNBC anchors will have to stop giving quizzical looks every time someone explains the merits of gold. Those who were early to the gold party (aka the smart money) will have to start exiting. If and when gold corrects, I will be a buyer. As I always do when gold corrects, I will publicly say that I’m buying. I’m not like gold permabears- I don’t conceal what I am doing with my own money. In my opinion, an attractive buying opportunity will present itself in 2011. I recommend you all be prepared. That being said, I just wanted to take this time to thank everyone for reading, and I wish you all a happy holiday. I will be back on Monday.